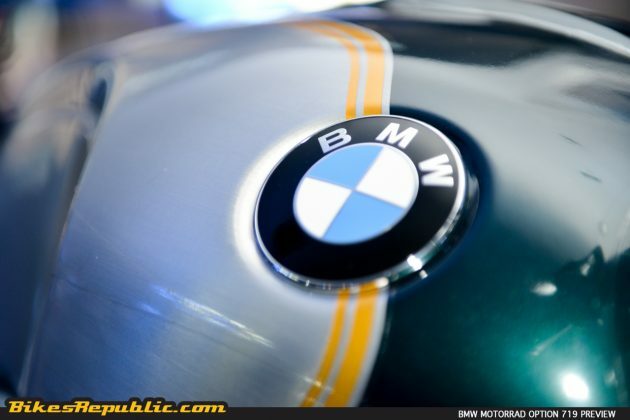 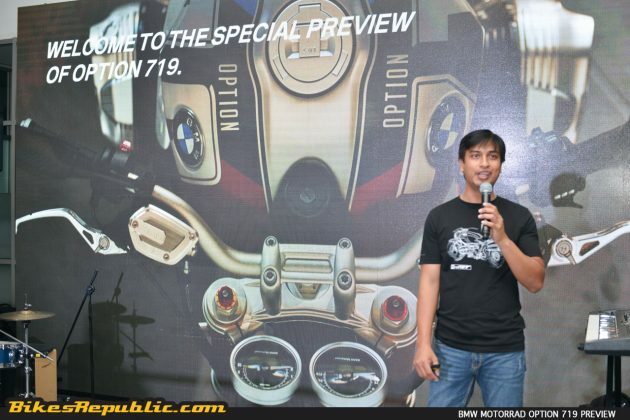 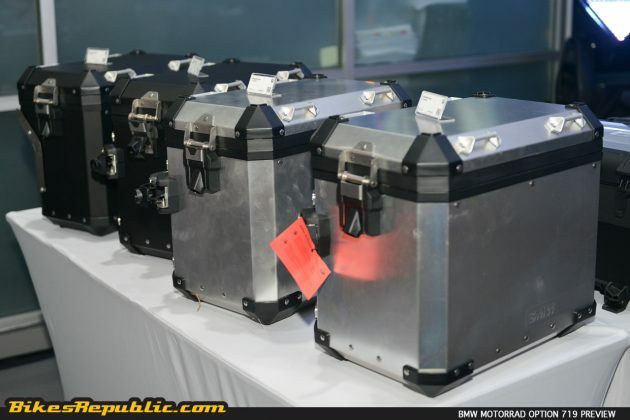 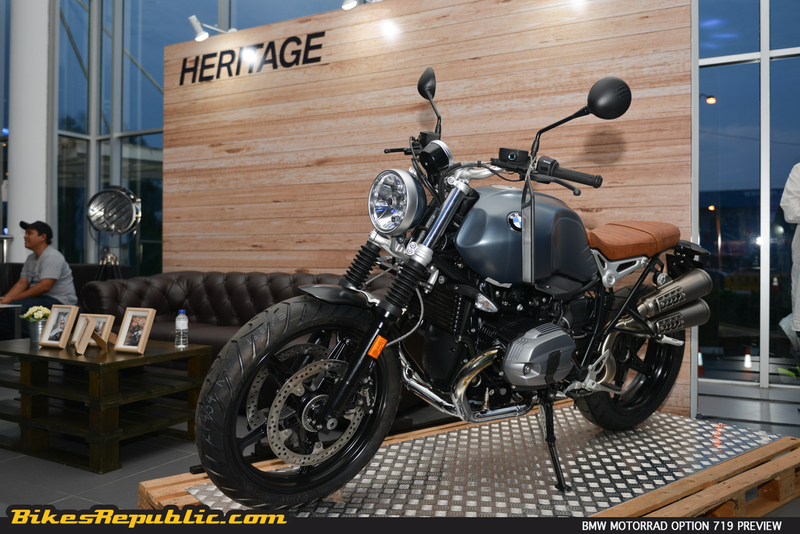 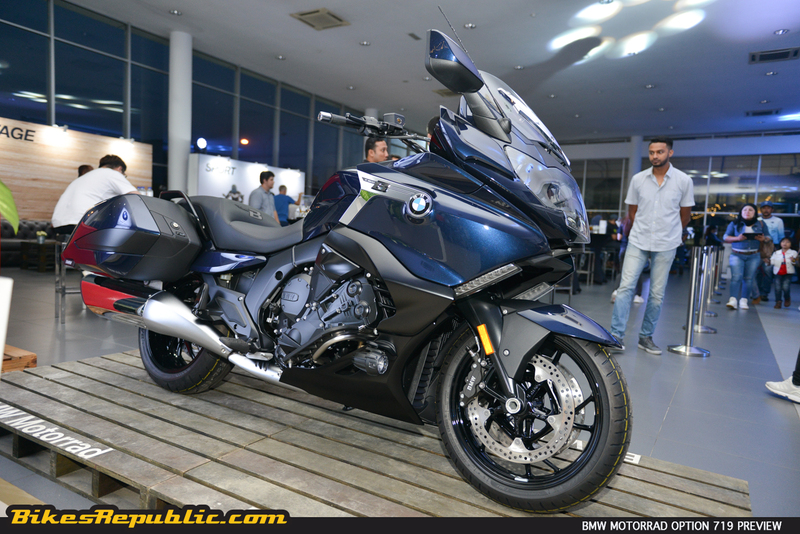 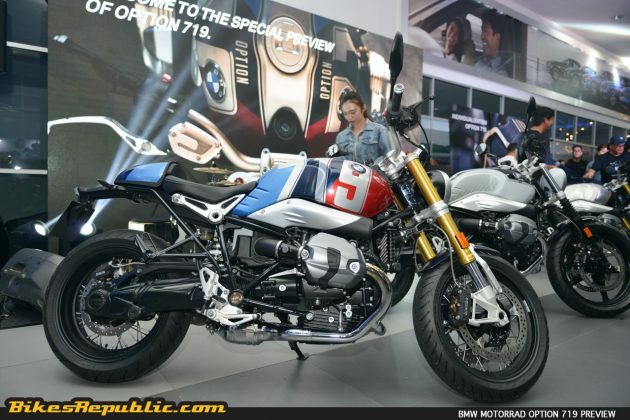 BMW Motorrad Auto Bavaria held a special preview for Option 719 last night. 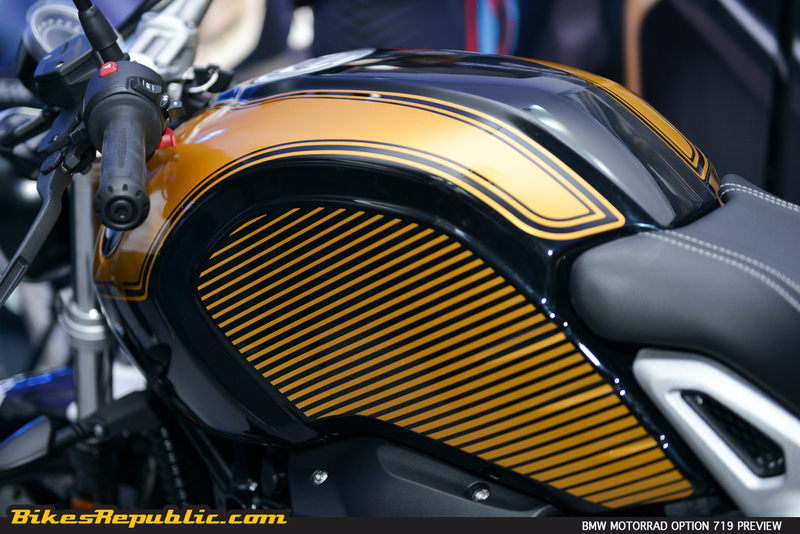 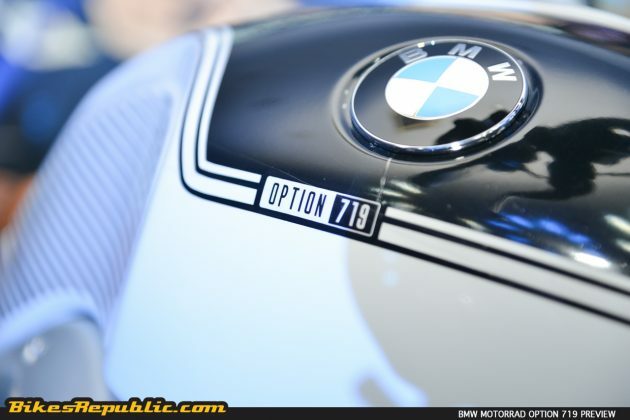 Option 719 is part of the BMW Motorrad Spezial ex-factory customization program. 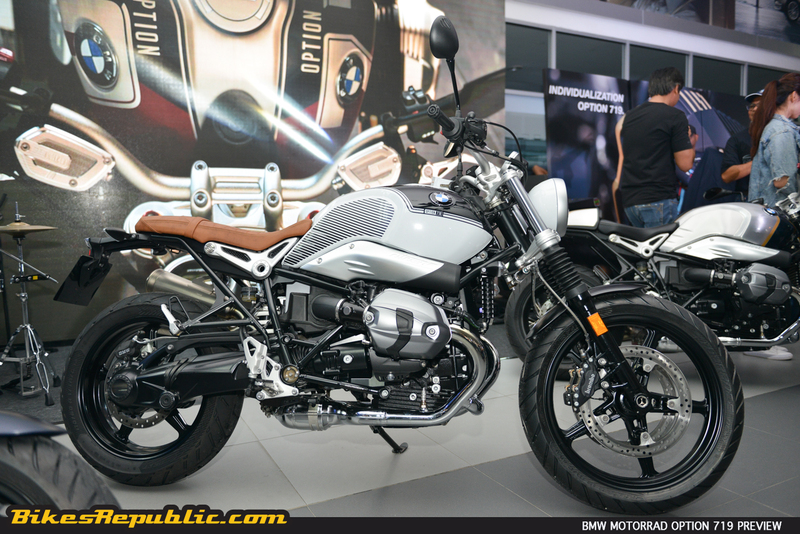 Option 719 is currently available for R nineT, K-Series and C-Series line-ups. BMW Motorrad Auto Bavaria held a special preview for Option 719 last night. 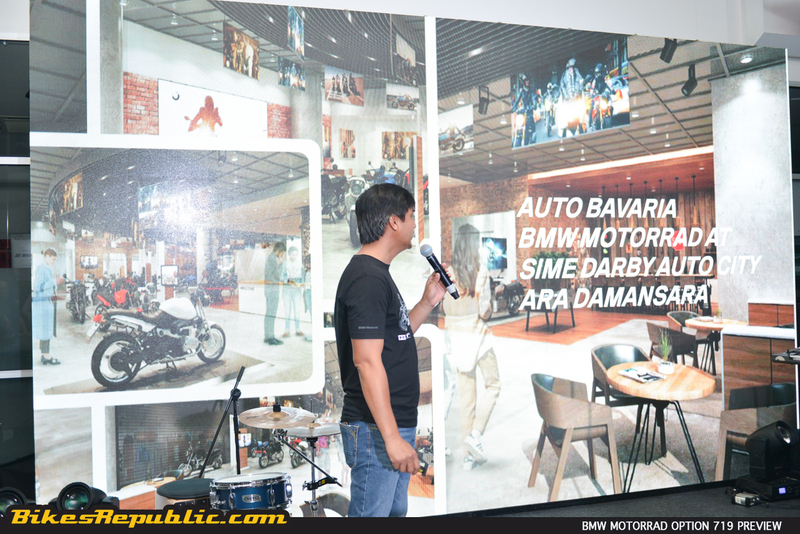 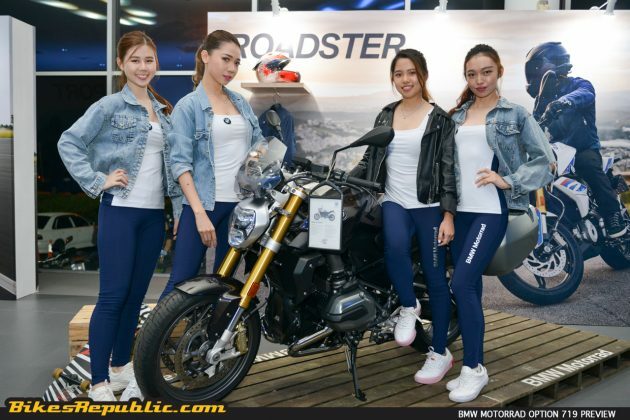 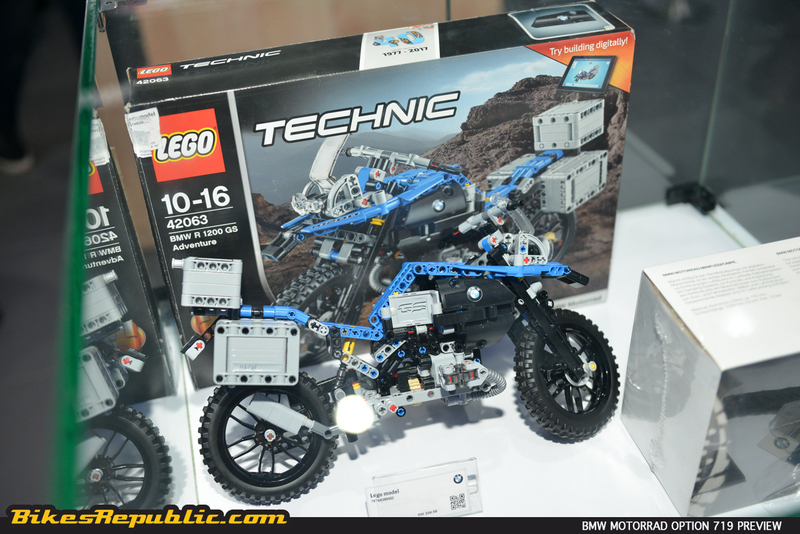 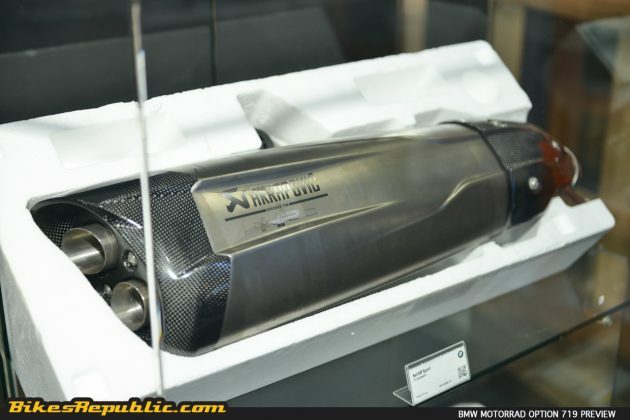 The special event was held in conjunction with their BMW Motorrad Fest. 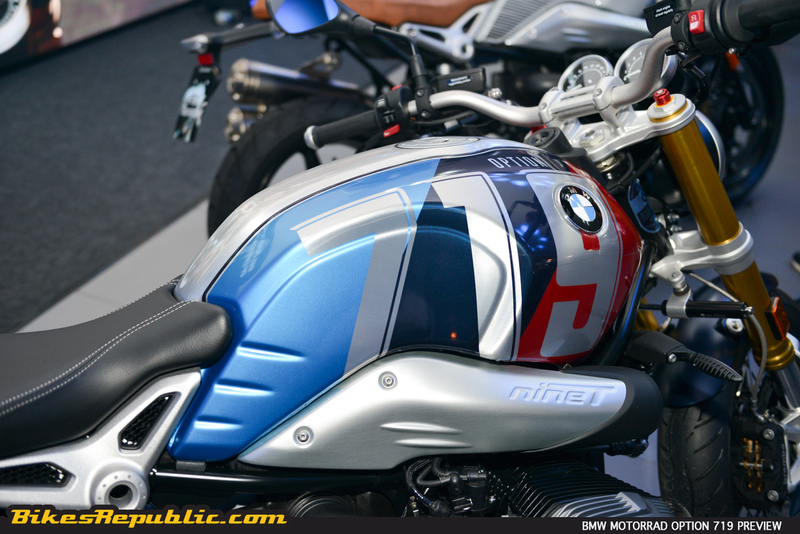 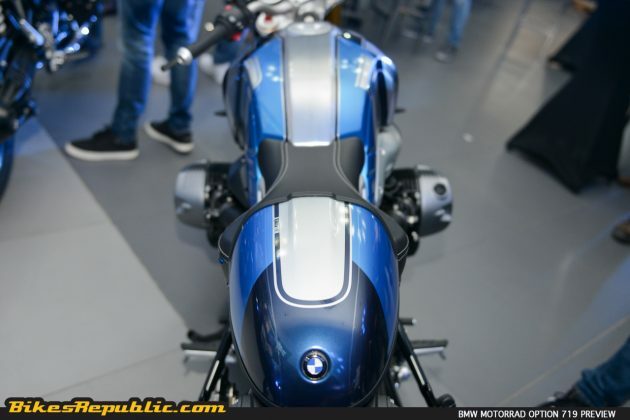 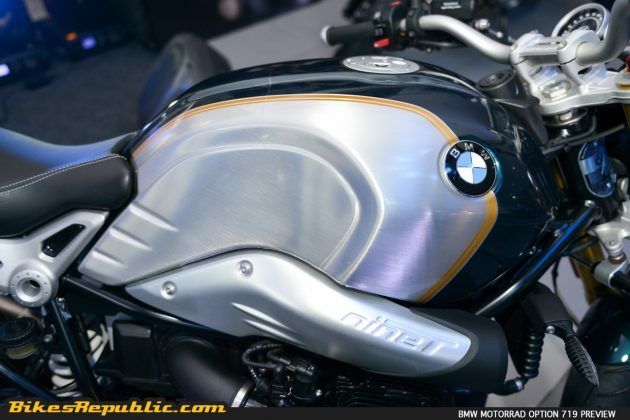 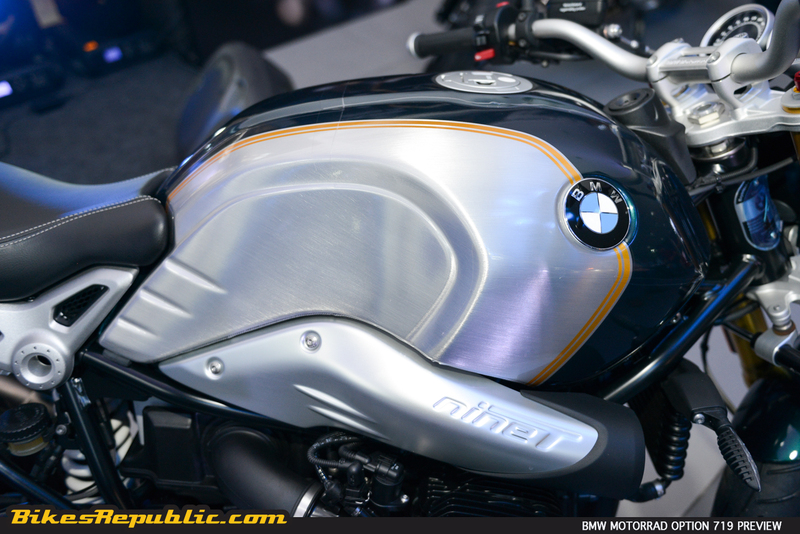 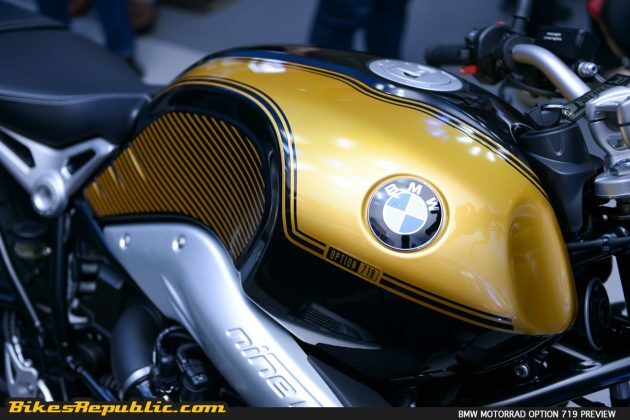 Auto Bavaria unveiled four R nineT’s with various Option 719 paintjobs. 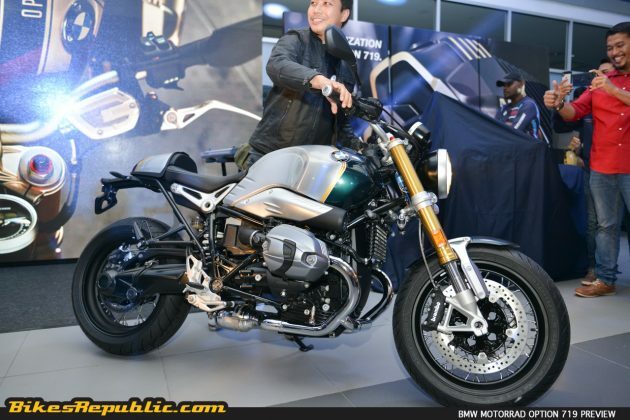 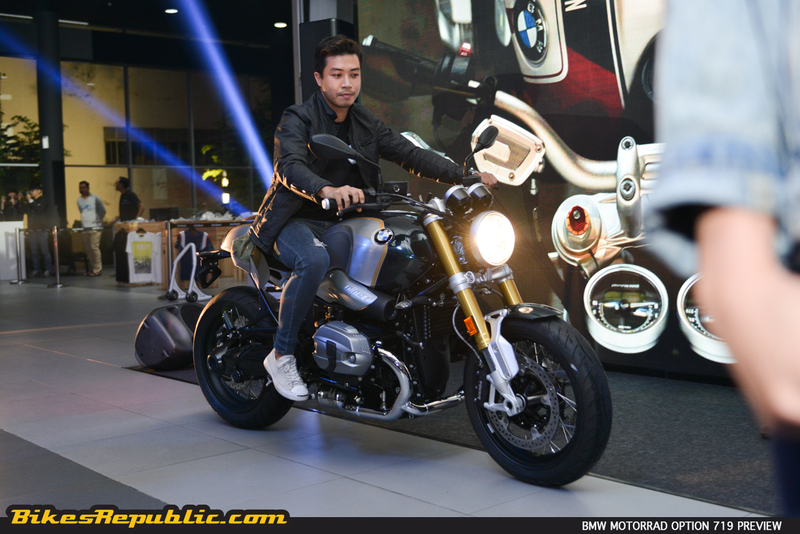 A customer, Dato’ Ariffudin Mokthtar also took delivery of an R nineT Pure finished in Black Storm/Metallic Auburn. 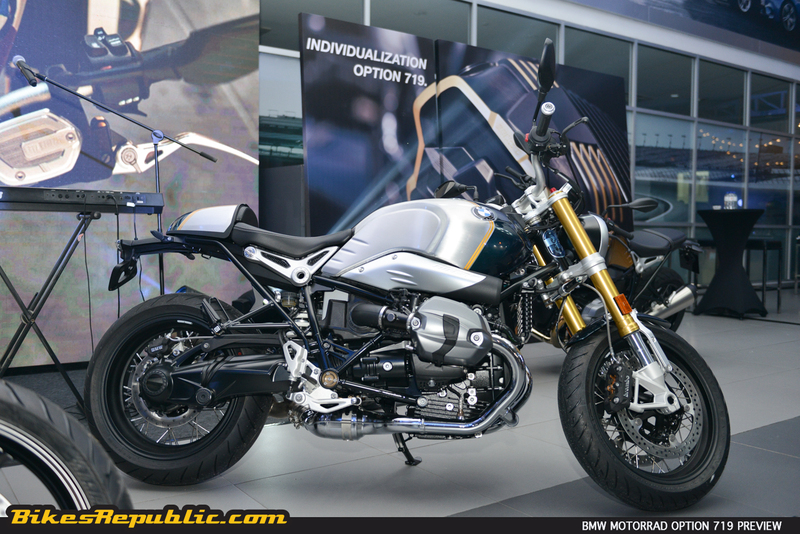 It was appropriate to debut Option 719 on the R nineT series, since it was designed to be customized. 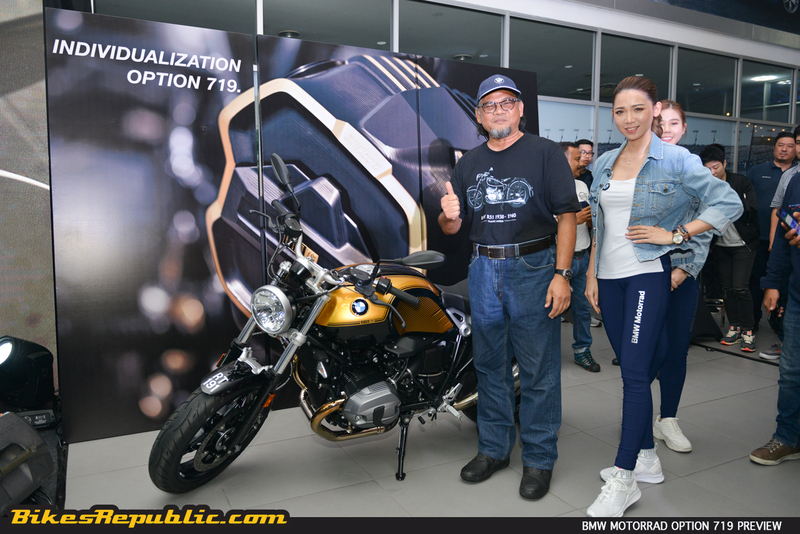 It is perhaps high time to launch the program as the Option 719 has been around for some time. Option 719 is part of the BMW Motorrad Spezial ex-factory customization program. 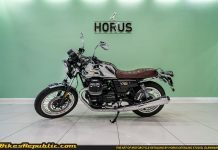 Owners could specify the special options for their BMW motorcycles prior to them arriving at the showroom or order the parts later. 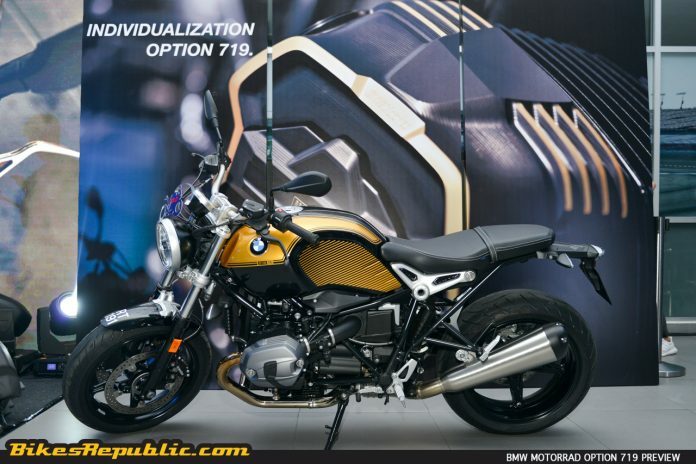 Depending on model, customers could choose from a catalog full of components such as billet brake fluid reservoir caps, engine covers, hand levers and paint jobs. 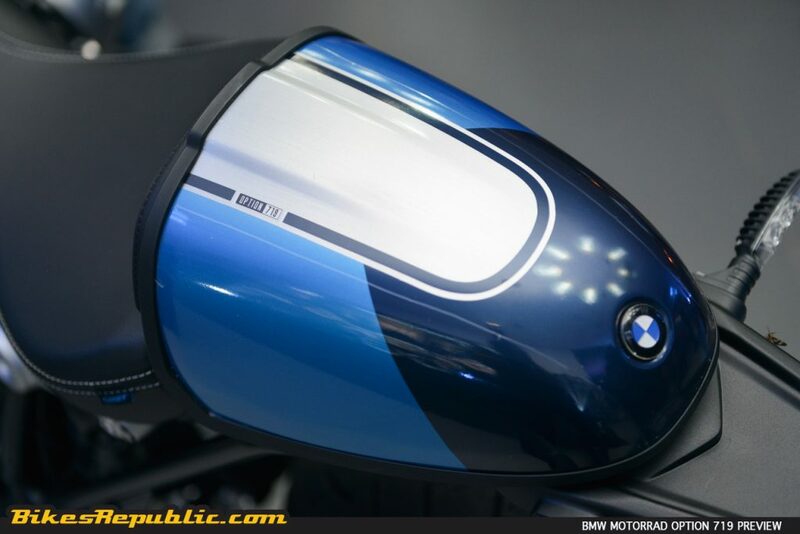 Customization is carried out by BMW’s in-house artisans such as those who carry out pinstriping, polishing, billet machining, seat leather stitching and so forth. Customizing one’s bike with Option 719 accessories also means that the bike’s warranty isn’t voided. 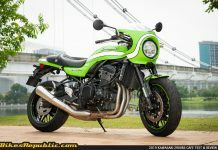 Besides that, the customer is assured of work being carried out by trained personnel, hence his bike isn’t butchered. 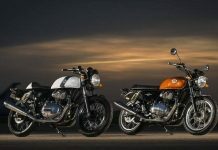 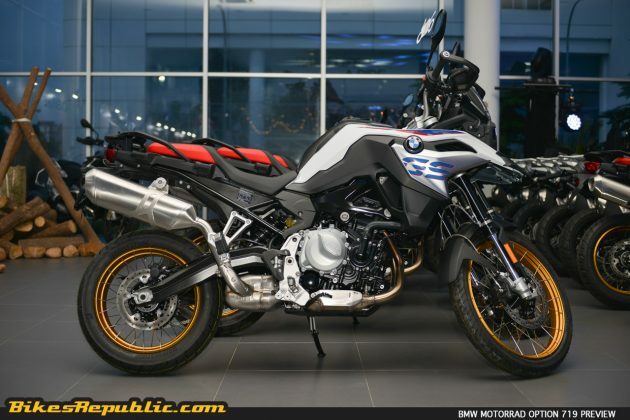 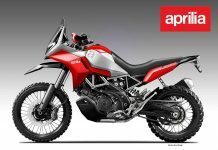 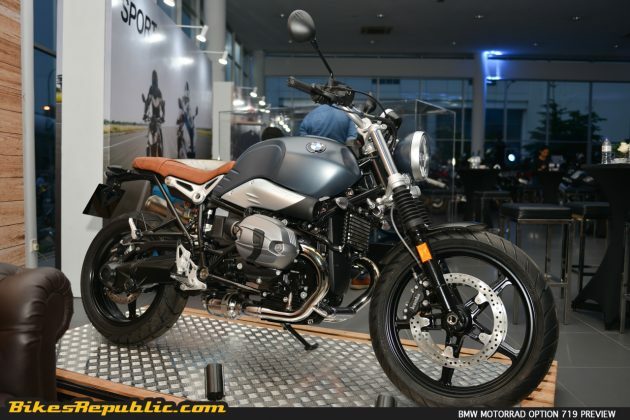 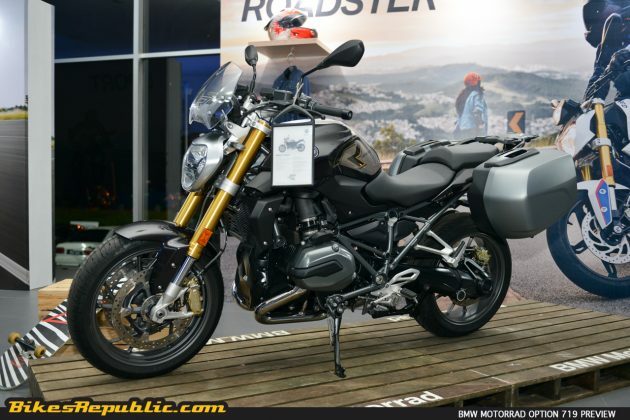 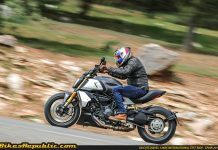 Option 719 is currently available for the R nineT, K-Series tourers, and C-Series urban mobility (read: scooter) line-up, but there are plans to expand it to include the adventure (GS) and sport (S 1000 RR) series. 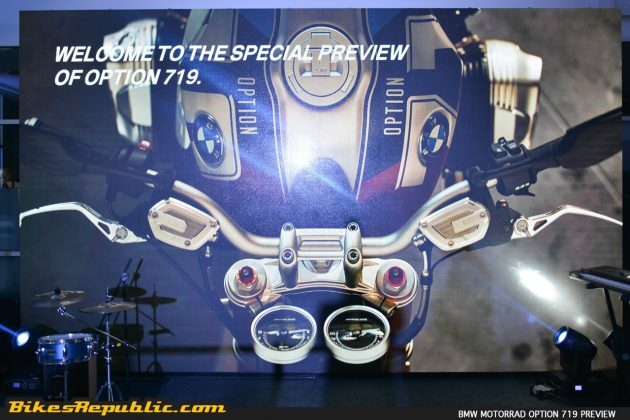 You may obtain more information about Option 719 by following the BMW Motorrad Spezial webpage. 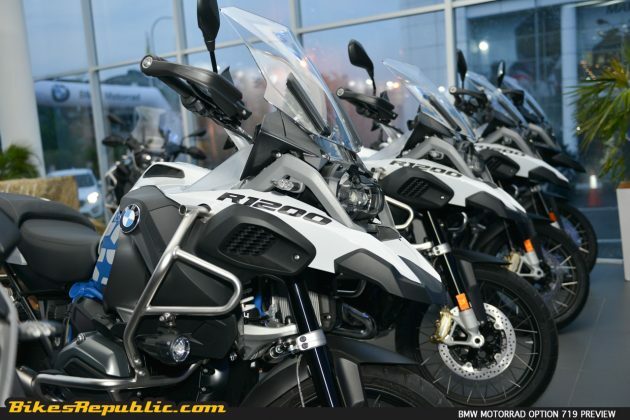 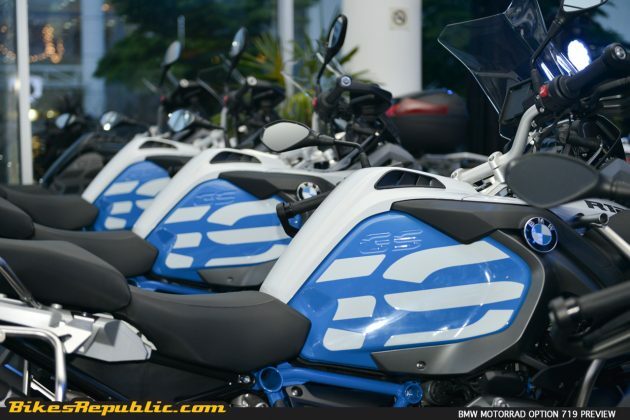 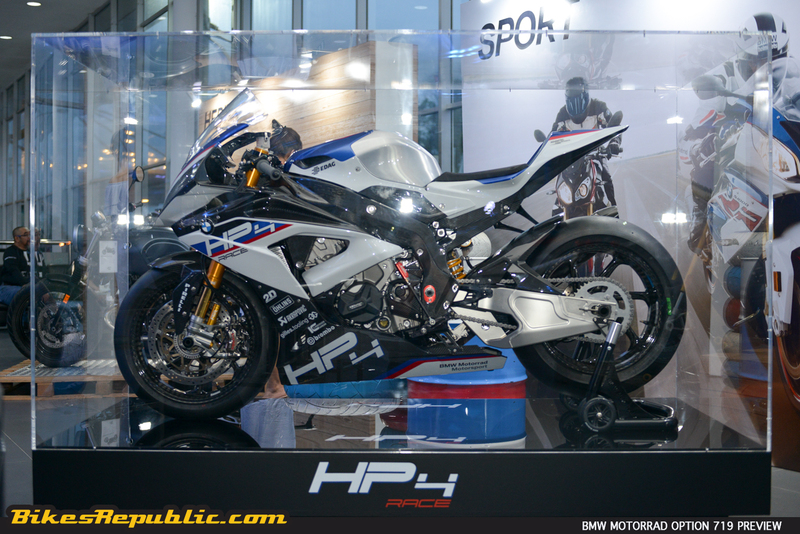 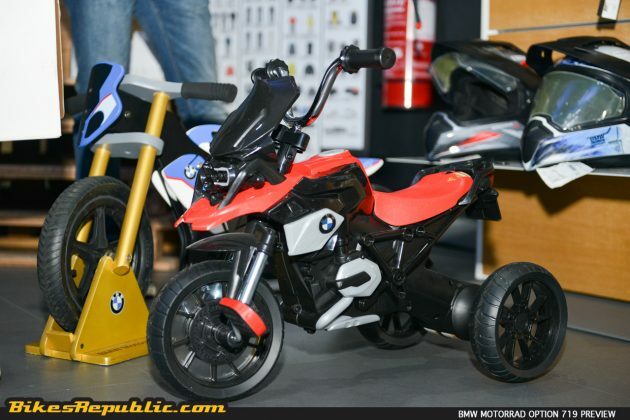 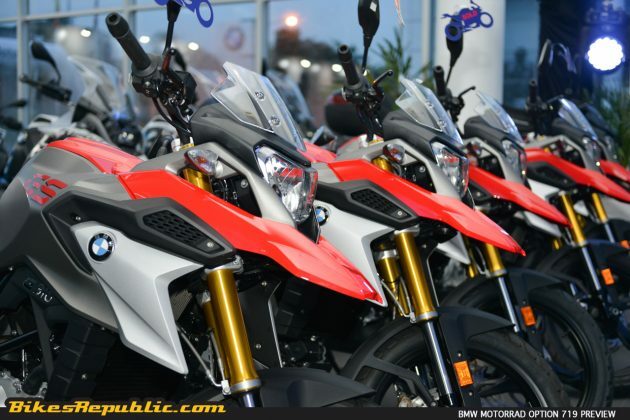 Interested parties can view the bikes at BMW Motorrad Auto Bavaria. 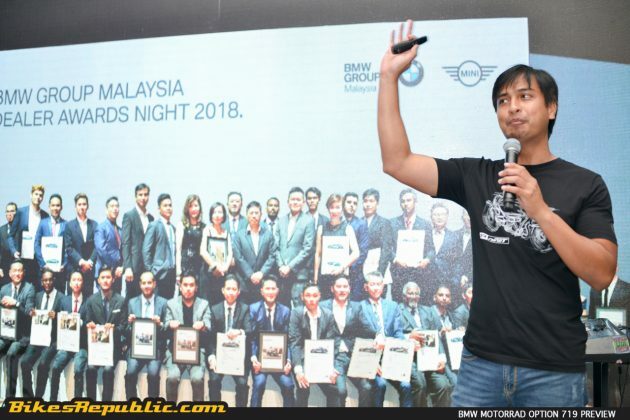 Please follow BMW Motorrad Malaysia’s Facebook page and BMW Motorrad Malaysia’s website for more information on BMW motorcycles. 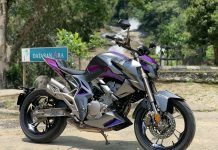 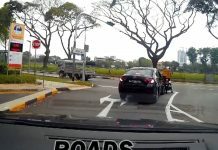 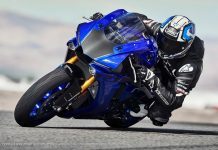 Previous article2019 Suzuki Katana has Arrived in Malaysia!